New Year’s Eve (technically New Year’s Day, come midnight) is “the worst day of the year for fatal crashes involving impaired drivers,” according to the Insurance Institute for Highway Safety. Half of all fatal auto accidents on New Year’s in the U.S. involve a drunk driver. So how can you help prevent accidents and protect yourself, yet still have fun on New Year’s Eve? The easiest ways are either: (a) stay home, or (b) don’t drink and drive. 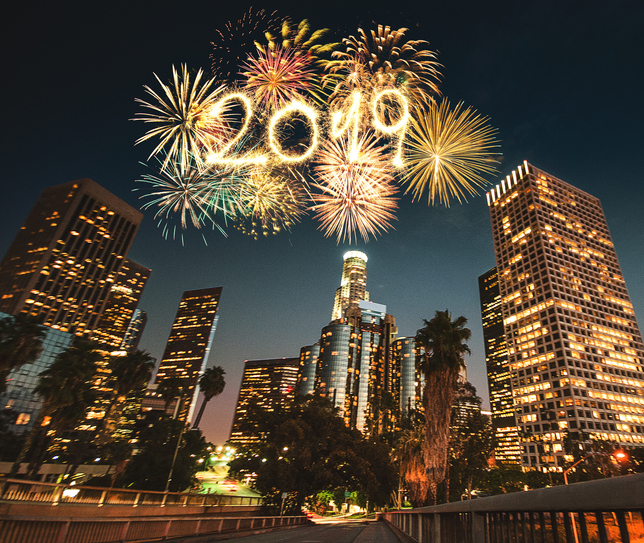 Fortunately, you have lots of options in Southern California to help you get out and enjoy New Years Eve without running the risk of drinking and driving. L.A. Metro: free trains and buses will be running from 9 PM to 2 AM on New Year’s Eve. Fare gates will be unlatched at subway stations. Orange County Transportation Authority: free rides on OC buses will begin at 6 PM on New Year’s Eve, Monday, Dec. 31 until 2:30 AM on Tuesday, Jan. 1. Long Beach Transit: free bus rides will start at 5 PM on Monday, Dec. 31. Extended routes leaving the Transit gallery on 1st Street, between Long Beach Boulevard and Pine Avenue, will go as late as 2:35 AM on New Year’s Day. The service will include 10 routes throughout the city. West Hollywood Trolley: the Pickup trolley will be running from 2 PM to 3 AM on New Year’s Eve along the regular route. The Pickup is free. See the route here. On New Year’s Eve, AAA’s “Holiday Safe Ride Program” will provide complimentary ride and vehicle tow for drivers who have consumed too much alcohol in an effort to help reduce auto accidents on New Year’s. Local motorists must dial 800-400-4222. The Program begins Monday, 12/31 at 6 PM and ends Tuesday, 1/1 at 6 AM. If you want to use Uber or Lyft, surge pricing typically happens between 8 PM and 11 PM on New Year’s Eve, then picks up again between midnight and 3 AM. Try to avoid haling your rideshare during those peak hours. An option to avoid surge pricing would be to hail a taxi, since cabs don’t use surge pricing. You can download the Curb app (formerly known as Taxi Magic) and use it to hail a taxi. All of us at Manibog Law wish you a safe and prosperous New Year. If you or a loved one have been injured in an auto accident, you may have legal options. Manibog Law will provide a free case evaluation to determine what your rights are and help you decide what you should do next. Call today: 1-800-MANIBOG.